The report states that given the wide-ranging customer profile, together with rising disposable incomes, expanded coverage of health insurance and public health programs world over, there is now significant growth for the global orthopedic orthotics market. Revolutionary improvements in the material and modeling technologies have eased the task of customizing and/or standardizing specifications of orthotic devices. Good News for Orthotic Wearers? Time will tell, but if the demand for orthotics is on the up then surely we will see a rise into research and development of many more orthotics that will meet consumer demands for inserts that will fit more stylish footwear. It may all inevitably come down to which manufacturers the medical profession use to produce prescriptions for orthotic inserts and of course cost. 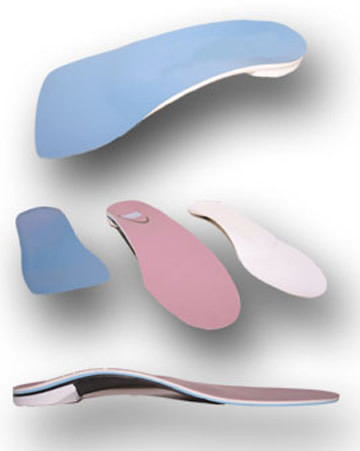 What we can say is that from our experience of attending Podiatry Conferences and speaking to Podiatrists that we know, there are lots of orthotic manufacturers out there who are developing new ways of making inserts and they are promoting these to Podiatrists. If you are unhappy with your orthotics then talk to your Podiatrist, there may be alternative products on the market that will enable you to increase the range of footwear that you are able to wear, but it does all depend on your personal circumstances and of course money. Lets be honest, it is not rocket science. I think that we have proved at CheerfulSoles that there is footwear out there that will satisfy not only the medical requirement for a stable sole unit and secure fit but also the stylish element that we as consumers all need to show our personality. It’s not as if you are expecting to totter into town in a pair of 8 inch Jimmy Choos!